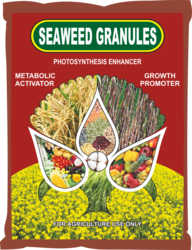 Plant Growth Promoters are growth management products that motivate the plant to produce its own beneficial hormones naturally. By improving vitamins and mineral uptake and also bodily Hormone Production via your plants' Roots or Leaves, Growth Promoters products help Enhance Flowering, Fledgling, Fruit set, Fruit Size, Maturity, and overall yield thereby delivering enhanced Crop Quality. APPLICATION: It can be applied to tree-plants, fruits,vegetables, grain, mustard, maize, bajra, cotton, tea, coffee, and all types of pulses and oil seeds. It must be kept in airy, cool, dry places and it must be protected from sunlight. 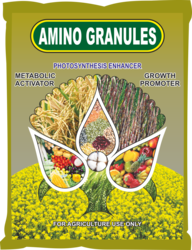 Amino granules is formulated by our practiced professionals by utilizing finest ingredients and current technology according to the market norms. The amino acids are helping the absorption and the translocation of the activator in cells where it strengthens the normal biochemical processes. This induces a great energy saving for the plant and a great revitalizing action. the amino acid can make crop grow strongly and enhance the crop having characters for drought resistance ,cold resistance . Lodging resistance ,repeated planting resistance and salt and alkali resistance. amino acid fertilizer makes the vegetable and fruit’s appearance fresh, good looking and delicious tasting, it also improves the quantity ,value and competitive strength. the organic matter can improve effectively soil ,break hardened ,enhance the characteristic of water and fertilizer remaining ,improve soil quantity, and increase production. the fertilizer has stable function and can reduce environmental pollution. Usage: it should be used at the beginning of vegetative growth and after transplanting, at the flowers development, and in all critical phases of the vegetative cycle when cultivations need timely available nutrients. AMINO LIQUID is formulated by our practiced professionals by utilizing finest ingredients and current technology according to the market norms. The amino acids are helping the absorption and the translocation of the activator in cells where it strengthens the normal biochemical processes. This induces a great energy saving for the plant and a great revitalizing action. Absorb quickly, promote crop precocity, shorten the growth cycle. Enhance metabolic function and stress tolerance. Improve the physical and chemical properties of soil. Improve water holding and fertility and permeability of soil. HUMIC GRANULES are a natural soil conditioner. It has a unique carbon matrix which includes a high concentration of trace minerals and organic acids. 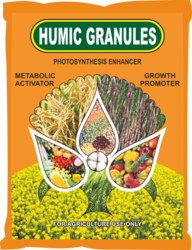 HUMIC GRANULES is strongly recommended used with Urea, MAP, DAP and NPK. Humic Granules could largely stabilize nitrogen and release lock up phosphorus in soil and increase soil water holding capacity,also will help to create optimal structure of soil for plants to absorb micro elements and other nutrients,block the heavy metals absorbed by plants thus stopped transfer to human. 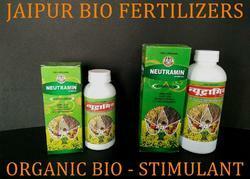 Improves germination and viability of seeds. Chelates macro and micro nutrients making elements available to the plant for longer periods of time. Increases cation exchange capacity (CEC). Improves soil structure for better aeration and water movement. Increasing the effectiveness of herbicide, pesticide and fungicide. Increasing the permeability of plant membranes, improving the uptake of nutrients. USAGE: Broadcasting either by top dressing or through basal application. it is rich in full water soluble humic acid and full water soluble nutrition elements, with the characters of no- flocculation, no-deposit, no-clogging irrigation system. It is suitable for all kinds of crops for broad-spectrum application. increase availability of p, fe, mn, zn. increase photosynthesis process in leaf. 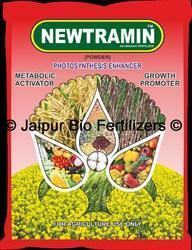 promote micronutrients transfer in crops. it helps to develop white root keeps soil loose for better aeration. it helps in plant to resist against drought acceleration germination enhancing seedling vigour and root growth induces early maturity. Improves the uptake of nutrients (CEC). Improves root structure and development. Prevents disease and heat stress. 2. Increase yield by 20% to 30%. 3. Induce plants to enhance resistance to disease. Looking for Plant Growth Promoter ?